Although the design of school buildings plays a huge part in driving education forward, ensuring the safety of those inside is essential. Jamie Allam from Amthal Fire & Security talks to LABM about how this can be achieved. Bricks and mortar of schools, colleges and universities provide the physical ‘building blocks’ for our children’s future — so fire-proofing these educational structures has an ever-important part to play in driving our education system forward. With increasing numbers of Academies and Free Schools, the risk is extended to everybody using the facilities, and many are now remaining open for longer periods than traditional school hours. The everyday threat of fire incidents plays a key role in the operational risk of personal safety in schools. Educational establishments are some of the most prone structures to fire hazards. Factors making schools vulnerable include ageing structures, a high volume of combustible materials, and an increasing use of combustible and flammable liquids in science classes. Whilst the factors which make schools prone to fire and safety hazards cannot be eliminated, they can be mitigated through the rigorous application of the highest industry codes and standards. The key is to schedule maintenance works programmes which provide regular comprehensive risk assessments. Based on the assessments, customised risk control programmes can be created to mitigate and eliminate sources of risk. Such risk control programmes combined with thorough analysis and appropriate technology will help meet design objectives as well as ensuring code compliance. One of the biggest challenges for schools is ensuring that fire risk assessments create minimal disruption to learning. Whilst schools are keen not to rush tests and avoid risk equipment not being thoroughly investigated, time is of the essence. Amthal relies on the latest testing technology such as Testifire, which enables on demand smoke, heat and CO generation for faster testing. They join Urban Kits as a fast and dynamic method for engineers to carry out fire testing in schools. 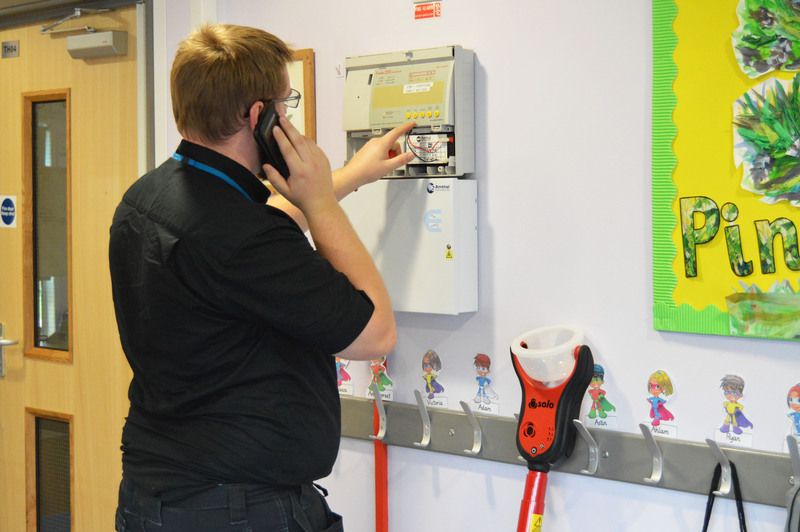 Such equipment was recently used at Penn Wood Primary and Nursery School in Slough, where Amthal upgraded the complete fire system and fitted a large number of multi sensors. Amthal worked closely with the school team from the initial design phase through to installation, carefully planning a maintenance programme of works to ensure the fire systems remain compliant to standards for their lifetime of use. Likewise, at Verulam School, a secondary school for boys with Academy Status, Amthal upgraded all security and fire safety measures in line with latest fire regulations. 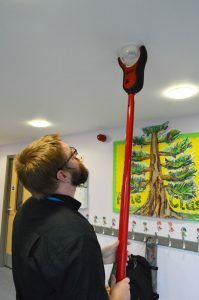 Paul Hammond, Site Manager at Verulam School, comments: “With the academy status of the school, we needed to ensure the security and fire safety measures onsite could accommodate not only the school use, but also the extra-curricular activity and increasingly wider variety of visitors utilising our premises. These examples demonstrate that using the latest technologies, along with implementing practical and cost-efficient measures, can provide necessary peace of mind for staff, pupils and visitors at schools across the UK. Fire safety is of utmost importance in any building, and adhering to the latest regulations is only part of the solution. For educational teams, it must be balanced with the continued budget reviews, academic expectations and pressures of everyday learning. School leaders must be in a position to proactively evaluate and assess current procedures and collaborate with professionals to ensure the fire safety of their school from the foundations up. This way, planned maintenance works can be created to work around school timetables and Academy programmes. At the same time, the latest technology can be adopted to fast track testing without compromising quality.